The Barolo D.O.C.G. CAROBRIC® was born in 1996 as a combination of three historical and complex terroir; a blend of fruit from Rocche di Castiglione, Cannubi and Bric dël Fiasc. This wine is about focus, precision of elements, intensity and length. The aromatics are lifted with a beautiful tension and clarity. 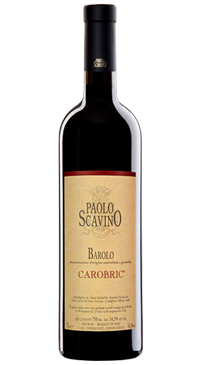 Vinification and ageing for all of Scavino Barolos are the same; the differences are expressed through terroir. The wine shows a youthful and nervous personality overall with dark fruit and grilled rosemary.